The video above is quite comprehensive but we realize some folks prefer to read rather than watch a video so we have the transcript below. Feel free to watch (or listen — the slides are not critical to understand the presentation) or read — whatever your preference is…. And I realize you may rather just pick up the phone and call us — feel free to do this by calling 205-879-2447 and we’ll be happy to chat with you. You normally will speak with Carolyn — she’ll get a bit of information from you and then set up a call the same day or next day with me where we will go over your options. And it doesn’t matter where you live in Alabama — we represent folks just like you all over the state. But if you can, I encourage you to read below or watch the video above…. Welcome to this video on the “5 Options You Must Know About When a Debt Buyer Sues You in Alabama.” My name is John Watts. I’m a financial protection attorney in Alabama, and I have my contact information on the screen. You can always reach us through this website or by calling us at (205)879-2447. What we’re going to talk about in this video or this webinar is what do you do when you’ve been sued? Since you’re watching this, I’m going to presume that you’ve been sued by somebody – usually a debt collector or a debt buyer, maybe a company like Asset Acceptance, Calvary, LVNV, Portfolio, Midland, Unifund. There are all these different companies, and they keep adding new companies. But you’ve been sued for a debt and now you’re looking for some answers. Let’s talk about a couple of disclaimers. First of all, this is to give you a general educational type information. This is not specific legal advice. If you want legal advice, then I highly recommend that you talk to a lawyer who’s licensed in Alabama. That lawyer can give you advice once he or she knows what your particular situation is. But without knowing that, no lawyer can give you advice, and we’re not giving advice in this. Again, we’re going to give you the lay of the land, the big picture. We’re going to go through a bunch of commonly asked questions and give you some general thoughts on those. Now let’s get into this. We want for you to discover the right answer for you – not for anybody else, not for somebody down the street, or your cousin in another state but the right answer for you based on your unique circumstances. Again, ultimately you’ll discover that answer sitting down with a lawyer who’s licensed in Alabama, but I think that this video will give you a very good overview. We had a shorter version of this video that we got a lot of positive feedback on, so it’s my intention that this will also be helpful to you. Now you’ve been sued. That’s a bad thing. I’m not going to sugar coat that or try to minimize that. It’s a bad thing. But you need to be willing to think about this bad thing, this problem in a new way. In other words, is there some way that I can take this negative situation and turn it into a positive? Is there some way to make this a good outcome instead of a bad outcome? Let’s talk about what we’re going to discover today as we go through that process of trying to think about this maybe in a new way, to find the positive here. What we’re going to talk about is the biggest danger that faces you right now. We’re going to talk about is it even possible to win a debt collection lawsuit? What about the statute of limitations? What about that? Because that’s something almost everybody who’s sued has a question about. Then we’re going to go over your five options you have now that you’ve been sued. Then we’ve added a section where we put in maybe 20 or 30 questions that we’re commonly asked, and we’ll run through those as quickly as possible. And at any point, if you’re watching this video and you say, “You know what, I would like to talk to a lawyer in Alabama,” then you can call a lawyer who represented you in the past, or you’re always welcome to call us, (205)879-2447 or go to AlabamaConsumer.com. There’s a “contact us” page there. Let’s get started in this. To tell you first of all who I am, I’m the one on the left with the red tie. My name is John Watts. I’ve been practicing since 1995 in Alabama. My partner, Stan Herring, the one on the right, he’s been practicing I think since ‘97, so a couple of years behind me. Our firm is Watts & Herring, and we have an office in Birmingham, an office in Madison, in the Huntsville area. But we really represent people all over the state, and we’ve been doing that for quite a few years now. We represent people sued in the northern part of the state, the middle part, the southern part. I suppose by now probably every county in Alabama, we’ve represented folks. I think all of that is important, but let me tell you this, which may be just as important. I’m married, I have kids, I have a mortgage, I wasn’t born with a trust fund, I’ve been on top of the world financially, and I’ve been kicked to the curb financially and everywhere in between. So I can appreciate and understand the situation that you’re in, that you owe money or somebody says you owe money and you may not have the ability to pay it, or you’re wondering, “Should I pay this? Am I paying the right person?” This is a difficult situation. I can appreciate what it’s like being in this situation and I want to help you understand your options. What is Your Biggest Danger? Let’s start with what is the biggest danger to you right now? The absolute biggest danger is doing nothing. If you do nothing, you’ll get what’s called the default judgment. Any type of judgment against you, they can garnish your wages, they can garnish your paycheck, they can put a lien on your property, they can force the sale of your car, and they can even force the sale of your home. That’s a bad thing. But the vast majority of people will do nothing. Since you’re watching this video, I assume you’re not in that group. But let me just make this very clear – and I’m not trying to be harsh, but I’m going to be very blunt here – if you are not willing to take massive action, then there’s no point in watching this video any further – again, to be blunt, there’s no point you calling my law firm. If you’re not willing to take massive action, then there’s nothing I can do to help you. What do I mean by massive action? That may mean you spend a lot of time, or it may be that you spend money, or some combination. But you’re going to have to do something – spend time, spend money, a combination – and I can just sum it up with you have to be willing to take massive action. You can watch this whole video, you can sit down with me or with some other attorney, and you could get all the knowledge in the world, but if you don’t do anything with that knowledge, it’s worthless. What’s that expression? Knowledge is power. No, it’s not. That’s a lie. Knowledge is not power; knowledge plus action, that is power. Part of what we’re doing in this video is to help you gain some knowledge, but then you have to take action or really you’re wasted your time watching this video. If you go forward with this video, I’m going to hallucinate that you are somebody who is going to take massive action and I applaud you for that, congratulate you for that and we’re going to talk about that again at the end of this video. Just keep that in mind: knowledge is not power; knowledge plus action is power. Is it Possible to Beat the Collection Lawsuit? Is that a myth or is that a fact? Let’s talk about the facts. One fact is you’ve been sued. Another fact is, when you’ve been sued the person who sues you has to prove whatever they say you did. If it’s a car wreck and you get sued, the person that sued you has to prove that you drove your car negligently. If you’re sued in a collection case, whoever sued you has to prove that you owe the debt and that they own the debt, they have the right to bring this lawsuit. We’re going to talk about that in the next slide. But there are all sorts of reasons why you can be victorious in this lawsuit. Now, am I saying that you are going to win your lawsuit? No, because I have no idea. But I can tell you there a lot of consumers – we’ve represented a lot of consumers, and a lot of consumers who have represented themselves – have been very successful and have won their lawsuit. I’ll give you just one simple example. I’m recording this webinar, this video in April 2015. As I’m recording this, we have in our law firm ten filed federal court lawsuits against a company called Midland Funding. We just settled four lawsuits against Portfolio Recovery. We have maybe five or ten other current pending federal court lawsuits against other debt buyers. Those are all cases where the client was a consumer, they were sued, and they won. Whether they had a lawyer, whether they did it on their own, there are all different variations of this, but they were all successful. Then those companies, what we alleged, they violated different laws and so we sued them in federal court. This is not something new. We’ve been suing these companies for years and years and years. So it is possible to win. Now, does it make sense for you to fight the case? Maybe. Maybe not. Can you win? Sure, it’s possible. Are you going to win? I don’t know. We have to look at your unique situation. Let’s talk about one of the fundamental things that gives you the ability, the possibility to win your case. This is something that we started writing about, talking about back in 2007. You can go back and find an old blog post on AlabamaConsumerLawBlog.com that we put out on this. Maybe some other people had talked about this. But it’s really the first time that I know of that this was put into writing and that is there’s a huge difference – I probably should put the word “huge” up there – in a debt collector proving you owe a debt and that debt collector proving it owns the debt. 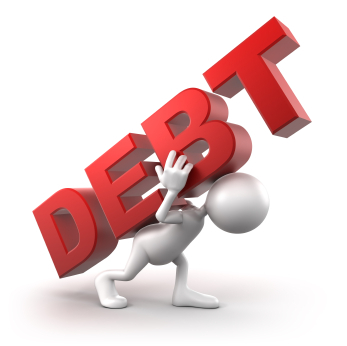 The debt collector has to prove both of those: that you owe the debt and that it owns the debt. If it fails to prove either one of those, then it loses. Does that make sense? It doesn’t solve the debt collector’s problem, it doesn’t get the debt collector to the victory just to prove that you owe GE Money Bank or Chase or CitiBank or Discover Card or Capitol One unless that’s the company actually suing you. But if it’s one of these debt buyers, did you ever borrow money from them? No. Did they ever come by and fix your air conditioner or fix your car? No. Did you ever have a credit card from Portfolio Recovery, Midland Funding, LVNV, ASIC? No. You didn’t have that. So they have to prove that you owe the debt, but then they got to prove that they now own the debt, that they truly bought the debt. That’s a critical distinction. We’ll talk about that some more. What is the Statute of Limitations When Sued in Alabama? I think over the years, we’ve represented something like 400 or maybe 500 clients who have been sued, and certainly I’ve talked with probably an equal number or more than that who did not hire us – they ended up usually handling this on their own – and I think virtually every one of those people has asked this question. So it’s probably a question you have. What’s the statute of limitations in Alabama for collection lawsuit? Because usually if it’s a debt collector suing you, you’re being sued probably at year four, year five, year six after you stop making payments on the credit card, the car loan, or whatever it was. Here are a couple of things. There’s something called an open account in Alabama. If you do any Internet research, you’ll see all these sites have these charts and say, “Oh yeah, if you’re sued for credit card, it’s three years open account.” It is true. Open account is three years. But if you’re sued beyond three years, the debt collectors, unless they’re really incompetent, they’re not going to sue you for open account. They’re going to sue you for breach of contract, which is six years, or what’s called an account stated or stated account, and that’s also six years. So is the statute of limitations six years? It depends. I think that open account for credit card is the right approach. That’s the right cause of action or legal theory. It’s like this: a cause of action is what you sue for to get to a judgment. So in a car wreck, we sue for negligence or recklessness or what’s called wantonness. We don’t sue for breach of contract in a car wreck case because that’s improper theory. That just doesn’t fit. With a typical credit card, it’s going to be difficult for the debt collector to prove a breach of contract because normally they don’t have the contract. They don’t have what we call the terms or agreements or terms and conditions, whatever. Each company calls it something different. But those are the rules of the contract. They don’t have them. So it’s kind of hard to prove without having that. Or they’ll come to court with something from 2012 and the last payment you made was 2009. Well, they need the rules from 2009. Without getting into a bunch of legal discussion, the open account I think is the correct approach. With a car loan, it’s typically four years because we have some special rules with most types of car loans. Here’s my take on it. It normally is going to be three years. All the debt collectors, all the collection law firms, the debt buyers, they say it’s six years, so there’s a dispute or a controversy there. I’ll tell you this. All the cases we handle, I think maybe one case, the statute of limitations is actually important to us. In almost every other case we go back to that fundamental thing. This is the most important thing. There is a difference between proving you owe the debt and that this debt collector owns the debt. Because if they cannot establish that they own the debt, the statute of limitations doesn’t matter. The statute of limitations is saying, “Okay, yeah, I’m guilty but they waited too long to sue me.” You never get there if the debt collector can’t prove that they own the debt. What are Your Five Options? Here are the five options: bankruptcy, fight the lawsuit on your own, settle the lawsuit on your own, hire a lawyer to fight the lawsuit, hire a lawyer to settle the lawsuit. The first option here – and I wrote that this is the “extreme choice” – a bankruptcy. Bankruptcy, when it’s appropriate, is extremely effective. But in my experience, it’s pretty rare in a lawsuit for that to be the appropriate response. You’re going to get a bunch of letters from lawyers, sometimes you’ll get these letters even before you’ve been served – which is, I think, improper under our rules. You’ll get all these letters from lawyers saying, “Hey, we can help you file bankruptcy,” and certainly that’s fine to check out that option. But I’ll just tell you, for most people, that is not an option that they need. So definitely investigate it, and you can also contact us, and we will be glad to walk you through that option of bankruptcy. But it’s amazing to me when somebody gets sued for $2500 and they get a letter saying, “Hey, we’ll file bankruptcy for you.” Really? We’re going to file bankruptcy over $2500? Now, if you have a bunch of other debt and you’re falling further and further behind, then maybe it’s appropriate. But there are a lot of consequences filing bankruptcy, and so definitely consider it, but also consider your other four options. Maybe. Maybe not. It’s an option, consider it, but definitely look at your other options. The next two options are do-it-yourself options. They do not involve hiring a lawyer. Option two, you can fight the lawsuit on your own. You’d file an answer – and to give you some time limits here: 14 days in small claims court, 14 days in district court, 30 days in circuit court. These are all from when you’ve been served, and when you get the lawsuit, it’ll have a document in there that will tell you your time limit. You’d file an answer and then ultimately, unless the case gets resolved or thrown out or you lose before you get trial, then you would go to trial. I’ll explain what I mean by that. In circuit court, sometimes there’s something called summary judgment where you can actually lose the case before you go to trial. But most of the time you’re sued in district court or small claims court, and even in circuit court, it’s pretty often you go to trial. You would handle all that on your own. What’s the objective? The objective, the goal, the purpose is to win. You want to win your case. In my opinion, if you win your case, under most circumstances, that means, you do not owe this debt collector any money on this debt. They sued and said you owed $5000. You won – that means you do not owe this debt collector $5000 on that debt. If you do this on your own, what do you do? You’re acting as your own lawyer. You do have to understand that. I can’t give you all the knowledge of a lawyer practicing 20 years in this little webinar. We do have some resources that are available, including one that’s the seven mistakes most commonly made when testifying in these types of cases. Just as we observed people testifying in collection cases, what are some of the mistakes that are commonly made? That’s something, and we have some other information along with that that maybe helpful to you. I do want to share this with you. In my opinion, you have to do this if you’re going to defend yourself, and that is you go to court – not just any court, but the courtroom of your particular judge. If it’s Judge Smith, you go to her courtroom, you watch what she does in collection trials. Particularly in district courts, small claims court, you can call the judge’s office, ask the secretary and say, “I’m John Watts. I got sued. I have a trial set 30 days from now. Is there a day that you’re going to be having similar type cases?” Maybe it’s every Monday, every Friday, whatever it is. There’s a set time when most of these judges have cases. You just go up and you watch it. It’s all open to the public. You just observe and see what happens, see how formal the judge is, see what the judge does when he/she calls a case, what does the lawyer do? You’ll notice the lawyer and the defendant – the consumer – will go out in the hallway typically and talk about resolving the case. You do this so that you know where to go, you know how to get through security, you know where to park, you know where the courtroom is, and it will make you a little more comfortable when you’re in court for your case. I see so many people who end up showing up late, they get lost, they don’t know which courtroom they’re supposed to go in, and then by the time they finally come in the court they’re late, the judge is not really amused by that, they’re nervous, and things just don’t go well. So give yourself every advantage if you’re fighting this on your own. I’ll say this – I’m not trying to be unkind but I’m going to be blunt in this – if you say, “I’m going to handle my case on my own. I’m not going to hire a lawyer,” that’s fine. But if you say, “I’m not willing to spend time to get ready,” then to me that’s just incredibly foolish. You either spend time or you spend money. You have to do one or the other. Sometimes you do both, but you definitely have to pick one or the other. So if you’re going to act as your own lawyer, then give yourself every advantage to doing that. Let me just say this: what’s the advantage of doing it on your own? You don’t have to hire a lawyer. It’s free. What’s the disadvantage? You don’t have a lawyer. The other side has a lawyer; you don’t have a lawyer. The third option: settle the case on your own. Now, this is where you agree to pay the debt collector, the debt buyer, whatever you want to call them. You agree to pay them a lump sum of money. This is going to be some percentage of what they say that you owe. If they sued you and say, “You owe $10,000,” how much is it going to be? Is it $5000, $6000? In lump sum, it’s typically going to be around there. Every company is a little different, but that’s the typical amount. Or you make monthly payments to them. Normally when you’re making monthly payments, they want this stuff paid off in two to three years and they typically want the whole amount paid. But maybe they won’t add in more interest or attorney’s fees to it. Those are some ways to do this. What’s the advantage of this? The advantage is, once you make the settlement and you make the payments, you’re done. What are some of the disadvantages? One is this is going stay on your credit report. They should update your balance. I’m talking about the debt collector, the debt buyer. If Midland Funding is on your credit report, they say you owe $5000 and you settle it for $3000, once you pay that money, they should update your credit report and say you owe zero, because you settled it for $3000. It’s not like you still owe $2000 – $5000 minus $3000. No. You owe zero because you settled it. But normally they’re not going to take it off your credit report. Eventually, they do. There are certain time limits here. Negative information can stay. But they’re going to keep this on your credit report as long as they can. Now let’s get to a couple of options of hiring a lawyer. Option four: you can hire a lawyer to fight this lawsuit. The disadvantage is you have to pay a lawyer. It costs money. The advantage is you have a lawyer on your side. I want to also bring up option five, which is hire a lawyer to settle. That is similar to what you could do on your own. The lawyer approaches the company – the debt collector, the collection lawyer – and says, “Let’s talk about a settlement.” The advantage is you have a lawyer helping you, you presume you will get a better deal. The disadvantage is you have to pay the lawyer also. We’ll go back to this option. The advantage is you have a lawyer. The disadvantage, you have to pay the lawyer. So what makes the most sense for you? This is where I’ll tell you what my firm does; I can’t speak to any other firm. When we’re dealing with a debt collector and you hire us, normally we’re hired for both of these options. Either we get the case settled or we go to trial. We typically go to the debt collector and we say, “Here’s your choice. We can go to trial, and if we go to trial, our objective is to beat you. If we can do this appropriately, then we’re going to sue your client in federal court.” There’s no secret about what we do. We have filed… I can’t even tell you how many. Just against Midland Funding. I think we have filed something like 40 or 50 federal court lawsuits all arising out of our client was sued, our client won the case, we sued Midland. And we’ve sued a bunch of other debt buyers a whole lot of times here. This is no secret, it’s no surprise. We’re not tricking anybody here. We say, “We can go to trial or you can drop the case, you can get it off our credit report, and we pay you nothing. What we will ‘pay’ you is we agree not to sue you.” That’s the choice that we give them. Again, if we’re hired, this is normally what we’re doing. We’re there to fight it. We’re also there to settle it. What’s the best option for you, or “What am I supposed to do?” The simple answer is I have no idea. Because I don’t know how much were you sued for? What’s the statute of limitation issue? Can this company prove it owns the debt? There are all these different issues so we need to talk about them before we know what your best decision is now . . . .
We’re going to get through a bunch of questions here because these may answer some of the questions that you would have. Is the best thing for me that I really just need to settle this on my own? Sometimes that’s the case. You’ve been sued for $10,000, you own no property, you are on Social Security, and they can’t touch your money. You don’t have any other assets. Maybe you call up the lawyer and say, “I can pay you $10 a month or something.” You can do that. Maybe that’s the best option, maybe not. You have just got to figure out what is the best option for you. I think the best way to that is to talk to a lawyer. Let me go through these questions because this maybe questions that you have or they may spark another question in your mind. Definitely write down any questions you have. I’m just going to run through these. These are just a random collection of some of the questions we’ve been asked over the years. What if I talk to the collector about settling; does this mean I admit I owe the debt? I thought this is a good one to start with because a lot of times people are afraid to even reach out to the collection lawyer because they go, “If I talk to the collector about settling, that means I owe the debt, right?” No. Just talking to the debt collector about, “You’d sue me for $5000, let’s talk about settling the case,” that is not an admission of liability. If you say, “I admit that I owe this debt and I admit that you own the debt,” yes, that may be a problem. But the law encourages parties – the plaintiff who sued, the defendant who got sued – to talk to each other to try to work things out and not have that come back and be a problem in trial. “The debt collector said I can pay 70 cents on the dollar, so that’s an admission they don’t really own the debt.” No, that’s not right. Or flip it around, the debt collector says, “You offer to pay me 50 cents on the dollar so you admit that you owe the debt.” No. We can talk without that coming back to hurt either side. I think I might have mentioned this, but a judgment is where the debt buyer gets what’s called a judgment against you. That’s a ruling from the court that says you owe $5000 or $25,000. Then what do they do with that judgment? They can put a lien on your property. They can garnish wages, garnish bank accounts. They can force a sale of your property, what’s called a sheriff’s sale. Typically, that judgment will show up on your credit report and also oftentimes is recorded in probate court, so it’s out there. That can be a problem if you’re trying to get a loan. That’s a judgment. It means the other side won. What is a “consent judgment” and why is this normally bad? Consent judgment is, like the name suggests, where you agree to a judgment. You agree that the debt collector is going to have a judgment against you. I think that’s normally a really lousy idea because now you have a judgment on your credit report and it means you lost the case. Some people do it because they say, “I’ll get this judgment, but as long as I make $100 a month payment, they won’t garnish my wages, my bank account, sell my house, etc.” Sometimes it can be appropriate, but oftentimes, I just cringe when I see people doing that because normally the consumer doing this has no idea what it actually means. No, it means something. That’s pretty serious what it means. It’s a judgment. Should I hire a mediation company that sends me an advertisement letter? First of all, I think it’s beyond authorized practice of law, because if you’ve been sued and a company says, “Let us help you resolve this,” to me that sounds like they’re getting involved in the legal process. I think it’s a really bad idea. You should either handle this on your own or you should hire a lawyer. But to hire a non-lawyer to do this… The comparison would be in the foreclosure world. There are all these “loan modification companies.” They may be in-state, out-of-state, but people have just been scammed so badly on these things. If somebody walked up to you in the middle of the street and said, “Hey, you look like you got sued. I’ll tell you what, pay me some money and I’ll take care of it for you,” you’re like, “No. I’m not going to do that. I’m either going to handle it on my own or hire a lawyer.” I think you’d be smart to do one of those two options there. Do debt collectors even have the right to sue me? I thought it was illegal to buy debts and then sue on them? That’s terrible advice. Maybe that’s true somewhere. I don’t know where, maybe somewhere. It’s definitely not true in Alabama. It is legal, it is okay, it’s proper to buy debt. Now, it has to be done in the right way. Go back to what we said earlier. When somebody buys a debt, they have to prove they actually bought it. It’s not enough to say, “I probably bought it or maybe I bought it.” No. Prove that you bought the debt. A debt collector can sue – it’s not illegal – as long as they follow the law. We’ll talk a little bit about that in the next few questions here. If I file my own answer, where do I take it? Remember you have 14 days, small claims district court, 30 days circuit court. Where are you going to take it? You take it to the clerk’s office in the court where you were sued. My suggestion is don’t mail it but physically take it down there. Make sure that you get it to the right place, it doesn’t get lost. My suggestion is take a couple of copies down there. You give one to the clerk of the court. You get one for yourself. They’ll stamp across the top, and it says, “On today’s date at 2:33 p.m. this was filed.” Now that’s your proof. You also want to normally send a copy to the other side so that they know you filed an answer. But you want to keep a copy yourself so if there’s ever any confusion. Go to the clerk’s office. Don’t just send it to the collection lawyer. They should forward it to the court, but they’re really not obligated to do that. Protect yourself, take it down to the court. What do I do if the debt collector brings a witness to the trial? That’s going to be a challenge if you’re doing this on your own. If you have a lawyer, then presumably the lawyer knows how to try cases and how to cross-examine witnesses and object to evidence. If you’re doing it on your own, you have to act as your own lawyer. Just remember, they have to prove they own the debt and that they have to prove you owe the debt. That’s really all I can say about that. I can’t explain to you how to cross-examine a witness and how to object to evidence. That’s something you’re going to have to do on your own, or if you hire a lawyer, then the lawyer will do that for you. I heard that the debt buyer bought the debt for pennies on the dollar so they should be happy if I pay them what they paid for the debt, right? There’s nothing wrong in making a profit. Wal-Mart sells a loaf of bread for $2. Did they pay $2 for it? No, they paid a little less. That’s not the best example because the margins are pretty small in that world, but you can think about buying clothes – maybe that’s a better example. Oftentimes in a retail establishment, they may have paid half of what they sell it for or 25% of what they sell it for. But that’s okay because they’re entitled to make a profit. If a debt collector buys your debt for $500 and they can get you to pay $8000 or they get $10,000 judgment, then that becomes very profitable for them. So it’s not just simple matter of you can go to them and say, “I know you paid $500 for this. I’m going to give you $500.” That, in my experience, has not worked. The debt was charged off by the original creditor so I can’t be sued, right? To give you an extreme example, let’s say I own a company that has a million dollars in assets and I’m selling it to for $100,000. You go, “Oh my goodness. That’s a great deal.” Then you buy the company and you realize that of the million dollars in assets, $999,999 is a debt that’s owed to the company from 1924. Is it likely you’re going to collect on that? No. That would be inaccurate books, if you will, because I’ve made it look like it’s a million-dollar company and it’s not really a million dollar company. Typically you go six months without making a payment. The original creditor will charge it off or write it off. They may get a tax advantage to doing that – that’s okay. You may get hit with the 1099 because it’s considered income to you. We’ve talked about that with the third option, settling it on your own. But it doesn’t make the debt go away under normal circumstances. You can still be sued, the debt can still be owed. Remember, as company suing you, have they proved that you owed the debt and that they own the debt? I heard the judges won’t allow these collectors to actually get judgments against consumers. Again, I doubt that that thought would be in your mind. But just in case it is, I want to remove that thought. The judges in my experience are very fair in our state. Sometimes I hear horror stories in other states, but I am very pleased and very proud of our judges. The best I can tell, they follow the law and they do it as neutrally, as unbiased as possible. Is their job to protect you? No. If you’re your own lawyer, that’s your job. If you hire a lawyer, that’s your lawyer’s job. The judge’s job is not to protect you; it’s not to protect the debt collectors. Why should I pull my credit reports? We often tell people, “Pull your credit reports.” They say, “Why should I pull my credit reports?” There are a number of reasons. One, everybody should pull their credit reports to see if it’s accurate or not. Specifically with a lawsuit though, if Midland Funding has sued you and they say, “The last activity you had was in 2010,” and now it’s 2015, they’re saying that they’re still within what they claim is the six-year statute of limitations. But what if on your credit report, it says the last payment you made was 2008? That’s very interesting, because that would mean that we’re beyond six years – and definitely beyond three years. It can give us information that can help us in defending your case or you in defending the case on your own. But it also lets us know what is this debt collector saying out there, what other debts are out there? Let’s say you’re sued for $2000 but you have $222,000 in other debts and you’re about to be sued on those. Maybe we need to think about bankruptcy at that point – at least have that conversation. It’s always good to get the big picture. See what’s out there before you make a final decision on what you’re going to do. That’s why pulling credit reports is important. Easiest way to pull them – it’s free – AnnualCreditReports.com. You don’t have to put in a credit card. You don’t sign up for a monitoring service. You just pull your credit report. You answer a security question. Save them as a PDF. Pull them through the mail. It’s going to take a couple of weeks. You can call them. Get them to mail them to you. Again, that will take a couple of weeks. The fastest way is download them on your computer. Just make sure you save them or print them to PDF. Isn’t it illegal for collection lawyers to sue me on an old debt in Alabama? This is similar to another question but it’s more focused on the lawyer. Isn’t it illegal for collection lawyers to sue me on an old debt in Alabama? No, except if they’re suing after statute of limitations. Then that tends to violate the Fair Debt Collection Practices Act. If they’re suing you on the wrong county, that can violate the law. There are ways that can be illegal, but just in and of itself, it is not wrong for a collection lawyer to file suit on a debt. How do I know the collection lawyers have truly bought the debt they are suing me on? Normally, they don’t own the debt. They’re just the lawyers. The plaintiff is the company suing you. They are the ones that are promising that they own the debt. I have run across one debt collector that’s out there suing and they make it look like they own the debt, but then when we’ve sued them they say, “Now, wait a minute. We don’t actually own the debt.” Okay, then it’s even worse what you guys did. But virtually everybody else understands the law. They have to own the debt, so they’re claiming to own it. The collection lawyer is simply the lawyer, because for most of these lawsuits, the company suing has to have a lawyer. They can’t go onto court without a lawyer. That’s why they hire the collection lawyer. The collection lawyer is not claiming that they own the debt. Holloway & Moxley, a firm down at Montgomery, is not saying they own the debt. Or Zarzaur firm in Birmingham is not saying they own the debt. There are some collection lawyers that do have debt buyers that they own. It’s a little odd, but sometimes they represent themselves, so to speak, on that. But that’s the exception rather than the rule. What does the FDCPA have to do with a debt collection case? We’ve talked a little bit about this FDCPA (Fair Debt Collection Practices Act). What does that have to do with the debt collection case? That law applies to debt collectors, including collection attorneys, including debt buyers. It basically says you cannot do anything that’s untrue – you can’t lie to people, you can’t tell a half-truth – and you can’t do things that are unfair. Suing after statute of limitations, that would be unfair. Suing on a debt you do not own, that would be unfair. Suing in the wrong county, that would be wrong. Suing on a debt where they say you owe money and you really don’t, that’s untrue. Putting false credit reporting, that would be untrue. It’s a very powerful law, and it’s something we always want to look at and see, first of all, does it apply to you, and second of all, has it been violated? What is discovery in a collection case? Discovery is where either side can ask the other side for information – something called interrogatories, like interrogations, so you ask questions in writing. You can ask for documents – request for production documents. You can ask that the other side admit or deny certain things. Those are called request for admissions. We have depositions, where usually you’re sitting down in person, although it can be done by video or phone. A lawyer sits down – or if you’re representing yourself, you could do it – and you ask the other side questions under oath and a court reporter takes it all down. That’s what discovery is. In small claims in district court, we hardly ever see this. Actually, we cannot see it in small claims court. In district court, it’s very rare; in circuit court, more common. What is a summary judgment motion in circuit court? If you’re sued in circuit court by a debt collector, normally there will be a motion for summary judgment where they say, “See? There’s just no way we can lose. Judge, go ahead and enter judgment against the consumer.” If that happens, that’s a judgment. A judgment is a judgment is a judgment. I don’t care if it’s a default judgment because we didn’t answer, it’s a consent judgment because we agreed, or a summary judgment because the judge says there’s no reason to go to trial. A judgment is a judgment is a judgment. Garnished wages, garnished bank accounts, liens on property, sell your property – it’s a bad thing. Typically, a summary judgment follows discovery. They’ll send you discovery, most people will go, “I don’t know what this is, so I’m not going to answer it,” or they read on the Internet, someone says, “You don’t have to answer that stuff.” That can be fatal to you in this type of case, and they can do that summary judgment. If somebody is filing a summary judgment motion, that means they’re trying to win the case and that’s it. There’s no “day in court.” That is your day in court. To respond to it, you have to follow the rules and the rules are fairly strict. If you have a lawyer, it’s not a problem. A lawyer would do it. If you’re doing it on your own, you have to learn what the rules are for summary judgment. If I hire you and the case does not settle but goes to trial, do I need to be at the courthouse? It depends. For most situations, the answer is no unless you’re subpoenaed. I don’t want you at the courthouse, because there’s nothing that I’m trying to prove. The other side has to prove the case. If we have a defense of statute of limitations or some other defense where you might be the one who has the knowledge, the evidence, then we would want you to be there. If you get subpoenaed, you have to be there. If you’re handling the case on your own, you have to be there or the judge is going to grant a default judgment most likely. But if you’ve hired a lawyer, then you talk to your lawyer and say, “Do you want me to be at court or not?” At my firm, typically the answer is no, I don’t want you to be there. What happens at the trial of my case? At trial, the side that has what’s called the burden of proof, they have to prove whatever it is they’re trying to prove. The debt buyer has sued you and said you owe $5000; they bear the burden of proving that. They have to prove you owe that money. They have to prove they own the debt. Now, if it’s Discover card or Capital One suing you, that’s going to be easier for them. They still have to prove that they own it, but that’s going to be a little easier than if it’s the eighth debt buyer that’s bought your debt. They have to prove that. They do that through witnesses and evidence. Witnesses must testify according to the rules of evidence. The written documents or evidence has to follow the rules of evidence. Again, if you have a lawyer, the lawyer will take care of it. If you’re acting as your own lawyer, then you need to know what those rules are. Then you have an opportunity to present your case, and after every witness is examined, there can be cross-examination by the other side. Most of the time in these cases, we’re not doing opening statements, closing arguments. In district courts, small claims court, these trials tend to be pretty quick. You may sit there for three hours, because there may be 20 cases set, but the actual time you’re “in trial,” usually it’s not that long. But this is why I say if you’re doing this on your own, you have to go to court ahead of time – I prefer the week before – and watch what this judge does. Maybe this judge is very formal and things take a long time. Maybe the judge is very informal and things happen quickly – two minutes, the trial is over. It makes the difference. Is it two hours or two minutes? You like to know before you walk in the room. Explain what happens if I go to trial and win my case. What if I go to trial and I win my case? First of all, great. Congratulations. That’s awesome. What does that mean? Normally that means you do not owe that debt collector the money that they say you owe. Remember I said that they sue you, they bear that burden to prove it? If LVNV Funding says you owe $5000, they sue you, and they lose, normally that means you do not owe that money to that debt collector. That has some consequences. What are the options on appeal if I lose my case or if I win my case? What about appeal? If you’re in small claims or district court, whoever loses can appeal – or I’ll say whoever is unhappy with the result because I suppose somebody could win and not be happy with the amount. Whoever is unhappy has typically 14 days to appeal to circuit court. You have to watch the time carefully. Notice when the judgment happens, when you start counting that time. Make sure you fill out the right form in the clerk’s office. There’s usually a fee involved you pay. That gets you up to circuit court. Circuit court is where we have jury trials, where we typically do car wreck cases, medical malpractice cases, and things like that. When you do that, you start all over. It’s as if what happened in small claims or district court never happened. The reason is you have right to a trial by jury but there is no jury in district court, there is no jury in small claims court. So how do we make those two things work? We say, “You can be sued there. But if you’re unhappy, you can appeal at circuit court so that you can get your trial by jury.” This is true of the other side. They can appeal. In circuit court, if you lose, now you’re talking about appealing to the Court of Civil Appeals or the Supreme Court of Alabama. Typically there are not many appeals in these cases. Because normally what the “lower court judge” does – small claims district court – is what circuit court will do, or what circuit court does is what the appellate court would do. You can appeal, it’s just not very likely. But if you lose, you need to evaluate your options on appeal to see if it makes sense. Why does the collector have to delete its account on my credit report if I win my case? Somebody may have seen some of our materials or read one of our lawsuits, and they ask, “Why does the collector have to delete its account on my credit report if I win?” It goes back to what we’ve talked about. They say you owe this money in the lawsuit and on your credit report, but you now have a judgment that says you don’t owe the money. They can’t have it on your credit report when they know that you do not owe the money. There are also questions about what about going back in the past? Midland Funding for three years has been reporting you owe this money and then you win at trial. I’d take the position that normally that means there has been false credit reporting because the judge says, “Look, you don’t owe this $5000 debt to Midland.” Yet, Midland has been telling the world that you do owe the debt. We know that you don’t owe the debt. It seems like a problem for Midland under this Fair Debt Collection Practices Act. What is the basis for suing the debt collector? Let’s broaden that question. What’s the basis for suing these debt collectors? We look at did they violate the law? Did they violate Alabama state law? Did they violate the Fair Debt Collection Practices Act? Did they violate the Fair Credit Reporting Act or some other law? If they did, then we evaluate whether it makes sense to sue or not. To give you a couple of examples, we’ve already talked about the credit reporting. What about the lawsuit itself? They say you owe this money and you don’t owe the money, so it seems like, to me, that’s a misrepresentation. That’s a lot. What if the FDCPA says you have to be sued in a certain county and they sued you in a different county? That’s a violation. What if they sue you after statute of limitations expired? That’s a violation of the FDCPA. There can be violations of different laws. I’ll give you one example. This state law but actually it will cover all of these. There’s a company called Main Street Acquisition, a debt buyer. It sues our client, and our client wins at trial. It was $5000. Clearly we do not owe $5000. But they weren’t satisfied with that. So they sued our client again for $5000 – the exact same debt, the exact same claim, the exact same court. The only thing they did is they got different lawyers. So a second collection lawsuit is filed. We win that case. We have sued that debt collector, this debt buyer, Main Street Acquisition. Did they violate the FDCPA? In my opinion, they did. They know they cannot sue again, yet they did it. That’s unfair. That’s false. It’s also what’s called malicious prosecution. That’s where you file a lawsuit and you have no legitimate basis to file the suit. This is like the classic textbook example of what malicious prosecution is. It’s outrageous what’s been done here. I’m just giving you a flavor for what are some of the reasons or the support for suing these guys after you win your case. Do you have to wait until they sue you the second time? Not in my opinion, you don’t. We sit down and look at it. Not every case we think should be sued on. But if they have violated the law and it makes sense for you to sue, then we sue. Those are normally handled on what’s called a contingency fee basis, where we’re going to be paid by the other side or we’re paid an hourly rate that the defendant has to pay us when we sue them. These can be very valuable suits to you in terms of you can get money damages if you’re successful. It definitely encourages them to fix your credit report because now they know they’ve been caught, and they tend to leave you alone after this. If you’re in that situation where you’ve won, then it definitely makes sense to sit down, talk with the lawyer about the pros and cons of filing suit. Let’s go back to what we talked about. Knowledge is not power. Knowledge plus action is power. You have to take action now. Now you have some knowledge, take that next step – which is probably to talk to a lawyer. If you’re watching this and your time has already run out, maybe your next step is you need to act as your own lawyer and get down and file an answer before you get default judgment against you. But assuming you have some time – or after you do that, you can always call a lawyer – let’s sit down and talk about this. Let’s go over those five options. Let’s see what makes sense for you. Maybe you should file a bankruptcy, or maybe you should fight this on your own. Maybe you should settle it on your own. Maybe you should hire a lawyer to fight it or hire a lawyer to settle it. I don’t know. But you need to figure that out, and I can help you do that once I know what your situation is – and that’s true of other lawyers, as well. I’m going to presume that you are going to take action. You certainly have demonstrated you’re willing to watch this incredibly long video, so I congratulate you on that. I just want to encourage you continue to do that. Take action. If you want to know more, you can go to our website. We have a ton of articles and videos there. We also have a Contact Us page that you can send us a message, AlabamaConsumer.com. You can also call us. For a lot of people this is just the easiest thing. Pick up the phone, (205)879-2447 and call us. When the receptionist answers, say, “I got sued. I watched that video from John Watts. I would like to schedule an appointment.” The receptionist will get you to somebody – usually Carolyn in my office – to set up that appointment. We can do it in person, although everybody is busy, so normally we do it by phone or by video. We’ll go over your options. We’ll pull your lawsuit. You definitely let us know when you were served, how much you’ve been sued for, have you filed an answer or not. But we’ll check the computers. It’s not always accurate, but we’ll check the online court system through the computer and see what at least that says about it. And pull your credit reports, so we can be looking at those. Then we talk, and we go over your options. We weigh the good, the bad, the ugly. We weigh the good and the bad of each option. A lot of times people know right then, “Here’s what I want to do.” Some people say, “You know what, I have it narrowed down between these two options. I have time here. I’m not running out of time on answering my case,” or “I don’t have trial tomorrow.” Sometimes we get called, trial is the next day. You have to make a decision. But they’ll say, “Let me think about this. Let me sleep on it and call you back the next day.” I think it’s a great idea. We’re not ever going to pressure you. You may feel pressure because you have a trial tomorrow or your answer is due tomorrow. But you’re never going to feel pressure from us; that’s not the way that we do things. We’ll tell you the facts. We’ll help you understand the law, help you understand your options, and then it’s up to you to decide what do you want to do? I want you to take encouragement from the fact that you have watched this entire video and that this demonstrates to you – this is for your own purposes – you know, “I watched this. I am willing to take action on this.” Maybe looking back in the past you say, “I went through a hard time, had an illness, had divorce, had a job loss. Those times where I didn’t take action, I just buried my head in the sand. I didn’t like seeing those envelopes. I have a whole stack of envelopes.” Look, I get it. I understand. Trust me, I understand. But you can’t change the past. The great thing is right now you can do whatever you want to do. So I encourage you keep doing what you have been doing in watching this video: take action. Look, it may not be calling us. That’s fine. I just want you to do whatever you need to do. If that is reaching out to us, call us at (205)879-2447, we’re more than happy to help you, more than happy to walk you through your options. Thank you again for watching this. We wish you only the best. Have a great day.